Luxury vacations in Papua New Guinea aid cultural immersion enabling travelers to uncover deep tribal customs amongst a remote tropical paradise. 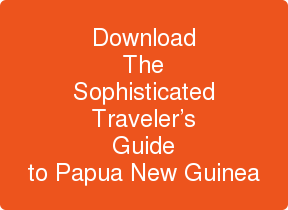 Traditional costume, tribal art, and fierce-looking face masks, make encounters with indigenous local groups an enthralling affair on luxury tours of Papua New Guinea with guided walks and celebratory displays unwrapping more of the country's fascinating culture. The vast highlands of Papua New Guinea offer lush, green, rainforests where hidden villages and nature parks help to create an unforgettable South Pacific cultural adventure.